Dusan Stojicic ("do-shan stoy-chi-chich", dusan@weown.it) joined We Own It in 2018 to support the Fellowship program with his extensive organizing and training experience. Dusan started his practice of community organizing through engagement in Serbia on the Move, leading a grassroots campaign of 500 people to improve recycling in Belgrade. He was also a national leader of the Theater Against Violence movement and assisted in the successful completion of the “Rights For Moms” campaign. 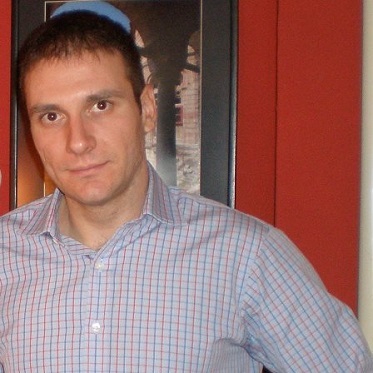 Until 2008, Dusan worked for R.A.L. Austria, Polza D.O.O. and Raiffeisen Bank. In 2008, he transferred to the civil sector, first as a Project Assistant, then as a Coordinator. Between 2013 and 2015 he served as an Executive Director of the Center for Development of Non-Formal Education. He has completed the "Community Organizing, Leadership and Change" program offered by the Harvard University John F. Kennedy School, and later served as a Teaching Fellow for Marshall Ganz’s “Leadership, Organizing, and Action” distance-learning program. Dusan is currently a MA/MS Candidate in Sustainable International Development/Global Health Policy And Management at Brandeis University. He is also the Director at Healthy Future Management in Serbia.